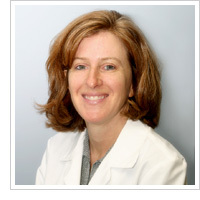 Dr. Jane Krasnick has been in Allergy practice since 1996. Her peers have nominated her for awards such as “Best Doctors in America” and Hour Magazine’s “Top Doctors” in Detroit. She serves as a mentor for Wayne State Medical Students and has published numerous scientific articles in the field of allergy. She is on staff at St. John Macomb Hospital and William Beaumont Hospital. She attended Wayne State University, School of Medicine. She completed her residency in Internal Medicine and fellowship in Pediatric and Adult Allergy & Immunology from Northwestern University and Children’s Memorial Hospital. She is board certified by the American Board of Internal Medicine as well as the American Board of Allergy, Asthma & Immunology.